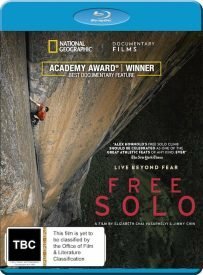 The Blu-ray of Oscar-winning documentary Free Solo will be released on April 11 as a JB Hi-Fi exclusive. 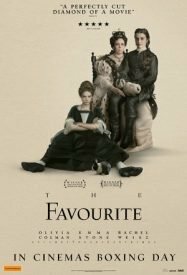 Everywhere else it will be for sale on DVD only — and that won’t be the optimal way to view it at home. The movie is a visually exquisite — and exhilarating — portrait of free solo climber Alex Honnold, as he prepares to achieve his lifelong dream: scaling the face of the world’s most famous rock, the 975-metre El Capitan in Yosemite National Park, without a rope. National Geographic’s DVD is presented in a 1.85:1 anamorphic image that looks good, but if you really want the best experience, a streaming (iTunes, Amazon) is your best option. I realise that National Geographic isn’t a studio that specialises in DVDs and Blu-rays, but with their subject matter (they’re synonymous with photography), there really should be a higher resolution option available. That being said, some of the shots provide an almost dizzying 360 degree look at the climb, El Capitan and the surrounding areas. Some of the trees and detail is lost in the inferior DVD format. Extras will include an interview with Honnold and co-directors Elizabeth Chai Vasarhelyi and Jimmy Chin, and the behind-the-scenes short, What If He Falls?. 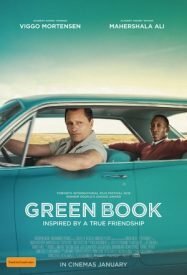 Other than Spider-Man, 4K-UHD releases of these titles have still to be confirmed but based on the US and UK schedules, only Green Book seems likely.